Do not underestimate the role of closed circuit television (CCTVs). As technology advances, CCTVs no longer stand still to capture what is around within a targeted area. Recent CCTVs are all armed with the ability to detain high resolution footages; with some being able to recognise features, similar or even better than human eyes. 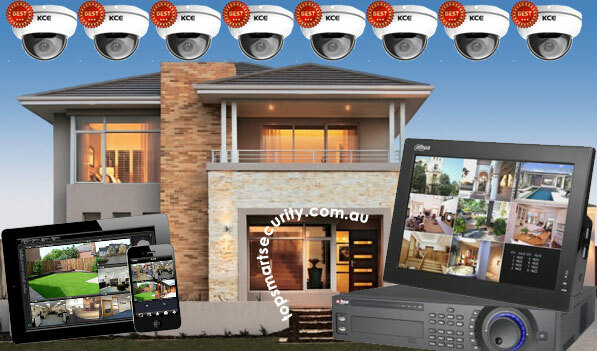 Like home television, CCTV is also available in High Definition (HD). The latest CCTVs are capable to clearly captured faces within one kilometer and are also sensitive to specific movements like fights. Automatic zoom in or tuning into just one particular direction will never sound strange to CCTVs anymore. In the past, when a person left the scene, a camera will no longer be able to track this person, but now, one camera is able to pick up from where the previous camera had left off, so that the target will be constantly monitored. With enhanced software, some CCTV systems are able to record sounds on top of images. CCTVs not only perform facial recognition more accurately but also divide sounds into different categories from whisper, quarrel, to sounds of objects (i.e., banging of doors, breaking of glasses, or moving of equipment etc. ), and even gunshots. Some CCTV systems may come with memory functions to capture faces of suspicious individuals and picking the information out again when the same or similar facial features reappear. Thermal imagining technology found within the system also enables one to “see through” the walls and detect if a stranger is loitering outside or if a break in is going to happen. CCTV cameras are becoming smaller despite the presence of many additional features, modern CCTV systems may take the size of a pinhole for individuals to insert them into their shirt pockets. Controlled of these machines are also made easier via mobile phones or applications, either on site or off site. Do not be overwhelmed, one should know that they are not in the right story if they keep thinking CCTVs are pure cameras in the air. Do expect more as we move on to an advance era when surveillance takes up a shape which no one ever imagines.